LANSING -- The Cobo Center, located in Detroit, has earned Green Venues Michigan (GLM) Steward certification from the Michigan Energy Office. Green Venues Michigan encourages entertainment venues, convention centers, and similar facilities to implement environmental initiatives and cost-saving “green” practices to conserve energy, reduce water consumption, protect air quality, reduce waste, and participate in environmentally preferred purchasing. 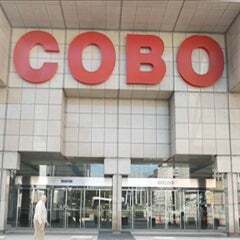 • The Cobo Center Green Committee meets several times monthly to promote sustainability practices and Green initiatives, and has members from every department and in-house contracting company. • Air curtains on doors of exhibit floor vestibule. 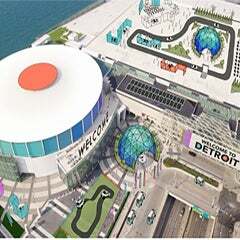 “Organizing our Cobo Center Green operations around the Green Venues Michigan certification mandates, provided us efficiency in planning and implementing our cost effective waste stream diversion measures. 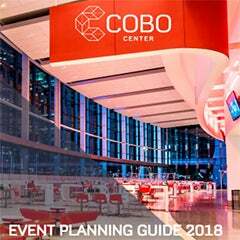 We are committed to environmental stewardship in our community, and happy to become the largest Green Venues Michigan facility in the state,” said Thom Connors, SMG regional vice president and general manager of Cobo Center. Green Venues Michigan is a voluntary, non-regulatory certification program offered through the Michigan Energy Office at the Michigan Economic Development Corporation at no charge. The Michigan Energy Office provides technical assistance to those who are interested in implementing “green” strategies and earning certification. The GVM program certifies facilities based on environmental initiatives such as air quality, energy efficiency, solid waste reduction, toxic waste management, water conservation, purchasing and communication. There are three levels of certification: Partner, Steward, and Leader, which can be earned by completing a self-assessment checklist and achieving a minimum number of requirements and points. The Michigan Energy Office promotes energy efficiency and renewable energy resource development to Michigan's residents, businesses, and public institutions. For more information about the Green Venues Michigan program and to download the GVM application packet and self-assessment checklist, visit the website at www.michigan.gov/energyoffice and click on the Green Venues Michigan link under Programs.